Western North Carolina is a picturesque region that plays host to a variety of events throughout the year. From movie and food festivals to live music concerts, our area has something for everyone. Read on to discover more than 40 unique events in Western North Carolina! Afterward, find more fun things to do in our Lake Lure/Chimney Rock Vacation Guide. Our guide is full of information on entertainment, dining, and outdoor recreation, so that you can spend less time planning and more time having fun! Lake Lure Polar Plunge, January 1 on Lake Lure, NC. Cork N Brush, a guided painting class with sips of wine in between, January 19 at The Esmeralda Inn & Restaurant, Chimney Rock, NC. Culinary Escape/Hands-on Cooking Class, January 19 at The Esmeralda Inn & Restaurant, Chimney Rock, NC. Asheville Restaurant Week, January 21 through January 27 at participating Asheville area restaurants. Culinary Escape/Hands-on Cooking Class, January 26 at The Esmeralda Inn & Restaurant, Chimney Rock, NC. Silent Film Event, February 2 at The Esmeralda Inn & Restaurant, Chimney Rock, NC. Culinary Escape/Hands-on Cooking Class, February 9 at The Esmeralda Inn & Restaurant, Chimney Rock, NC. 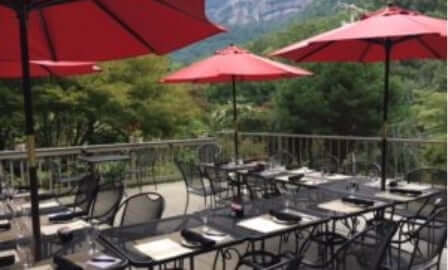 Mountain Brook Vineyards Wine Dinner, February 23 at The Esmeralda Inn & Restaurant, Chimney Rock, NC. Culinary Escape/Hands-on Cooking Class, March 9 at The Esmeralda Inn & Restaurant, Chimney Rock, NC. Cork N Brush, a guided painting class with sips of wine in between, March 9 at The Esmeralda Inn & Restaurant, Chimney Rock, NC. Hunger & Thirst: A Restaurant Week Event, March 21 through March 30 at The Esmeralda Inn & Restaurant, Chimney Rock, NC. Culinary Escape/Hands-on Cooking Class, March, 23 at The Esmeralda Inn & Restaurant, Chimney Rock, NC. If you are looking for something fun to do with the kids, then take them to Earth Day at Chimney Rock State Park! This educational and interactive event is each April; it is a free event that takes place, rain or shine. Learn about the great work being done to protect our beautiful landscape. Earth Day at Chimney Rock, TBD at Chimney Rock State Park. The Biltmore Blooms Festival of Flowers, April 1 through May 23 at Biltmore Estate. Carolina Donut Festival, April 20 in downtown Marion, NC. Easter Sunrise Service, April 21 at Chimney Rock State Park. Spots are limited & tickets must be reserved in advance. Easter Brunch, April 21 at The Esmeralda Inn & Restaurant. Weaverville Art Safari Spring Studio Tour, April 27 & 28 in Weaverville, NC. The Asheville Herb Festival is the greatest herb festival in the Southeast, and it takes place each May in the heart of Asheville. The festival features products from a wide variety of gardeners and herbalists. Festival-goers can stop by for herbal ointments, balms, soaps, teas, medicines, and more! The Asheville Herb Festival, May 3 through May 5 at The WNC Farmers Market in Asheville. 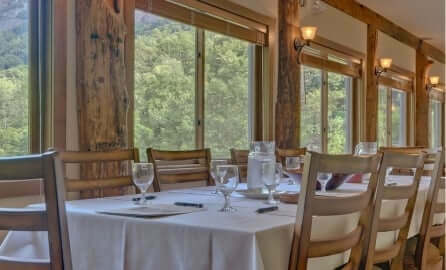 Culinary Escape/Hands-on Cooking Class, May 4 at The Esmeralda Inn & Restaurant, Chimney Rock, NC. MayFest, May 4 in Rutherfordton, NC. The Carolina Class, May 8 through May 12 at Tryon International Equestrian Center. LEAF Festival, May 9 through May 12 in Black Mountain, NC. Lake Lure Annual Boat Parade, May 10 at Lake Lure. Classic Boat & Auto Show, May 11 in Lake Lure, NC. Annual SpringGo & Outdoor Symphony Concert, May 11 at The Gathering Place Amphitheater in Chimney Rock Village. Mother’s Day Lunch, May 12 at The Esmeralda Inn & Restaurant. Asheville Beer Week, May 24 through June 1 in downtown Asheville. June is an exciting month for festivals in Western North Carolina! During the Drums & Dragons Race, participants paddle 250 meters down a chosen local river in 30-foot long dragon boats, dressed in dragon heads, tails, and scales! Another one of our favorite June events is A Gorge-ous Evening Out at Chimney Rock State Park. You’ll enjoy locally-crafted foods, wines, and so much more at this family-friendly event. A Gorge-ous Evening Out, June 1 at Chimney Rock State Park. Cherry Bounce Festival, June 14 through June 15 in Forest City, NC. Drums & Dragons Race, TBD. Waterfalls & Wine Tour, TBD at Pisgah National Forest. The Lake Lure Fireworks Celebration, July 3 at Morse Park Meadows. July 4th Weekend Family Fun, July 4 through July 7 at Chimney Rock State Park. NC Craft Fair of the Southern Highlands, July 19 through July 21 in downtown Asheville, NC. Beats, Burgers and Brews, every weekend in July at Chimney Rock State Park. For more 4th of July events, read our blog on Independence Day celebrations! Lake Lure Olympiad Sports Festival, August 9 through August 11 in Chimney Rock and Lake Lure, NC. Sourwood Honey Festival, August 10 through August 11 in Black Mountain, NC. NC Apple Festival, August 30 through September 1 in Hendersonville, NC. The NC Mountain State Fair, September 6 through September 15 in Fletcher, NC. 10th Annual Dirty Dancing Festival, September 13 through September 14 in Lake Lure, NC. Brewgrass Festival, TBD in Asheville, NC. Annual Vintage Tin Car Show, October 5 in Lake Lure, NC. Halloweenfest, October 26, in downtown Brevard, NC. NC Craft Fair of the Southern Highlands, October 18 through October 20 in downtown Asheville, NC. Weaverville Art Safari Fall Studio Tour, TBD in Weaverville, NC. The Biltmore Estate Christmas Celebration kicks off in November and is a century-old tradition. Each year, this holiday event delights thousands of visitors with over 50 decorated Christmas trees, 65 adorned fireplaces, and countless twinkling lights. Feel free to tour the property for a one-of-a-kind experience you’ll never forget. Mark your calendar for the following events this November, as well! Christmas at Biltmore, November 1 through January 6 at Biltmore Estate. A Christmas Carol, TBD at Flat Rock Playhouse. Thanksgiving Dinner, November 28 at The Esmeralda Inn & Restaurant. Forest City Christmas Lights, November 28 through January in Forest City, NC. Santa on the Chimney, December 7 & December 14 at Chimney Rock State Park. Small Town Christmas, TBD in Rutherfordton, NC. Winterfest, TBD in Tryon, NC. New Year’s Eve Dinner, December 31 at The Esmeralda Inn & Restaurant, Chimney Rock, NC. Now that you’ve found the best events in Western North Carolina, it’s time to plan your trip! 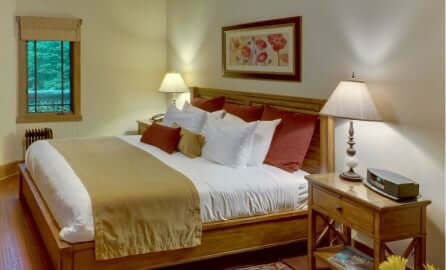 Our Chimney Rock bed and breakfast is the perfect place to stay and offers top-notch accommodations and amenities. Rest up in one of our comfortable guest rooms, or reserve a cozy cabin. 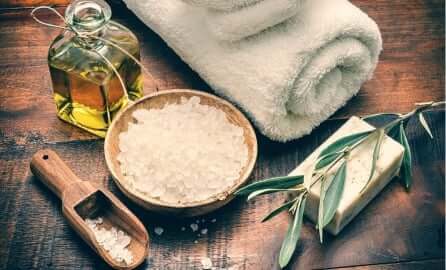 Complimentary breakfast, spa services, and dinner at our award-winning restaurant are a few perks to enjoy during your stay. When you are ready to plan your next getaway, check our current specials and book your stay. We can’t wait to host you at The Esmeralda Inn & Restaurant!